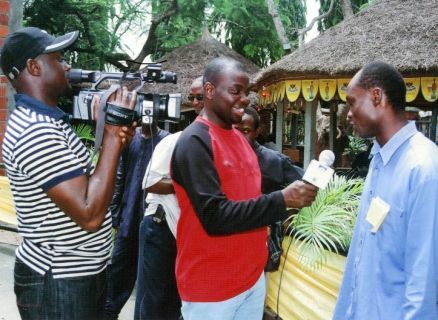 An official of Chevron answering questions from Mr. Solomon . 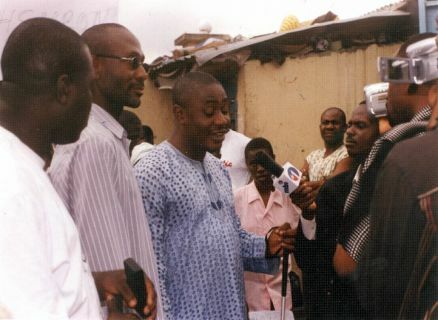 A blind students talking to the press. 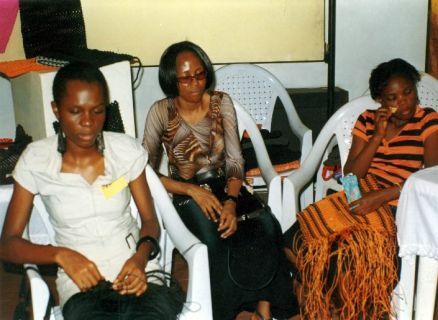 Vice President Niger delta blind student Miss. 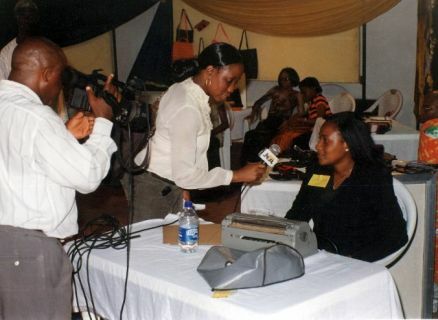 Amaka of University of Ibadan talking to the press during the exhibition. 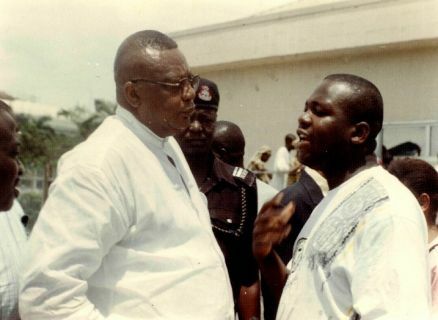 Comrade Evah explaining why IMG decided to sponsor the protest match against Chevron. 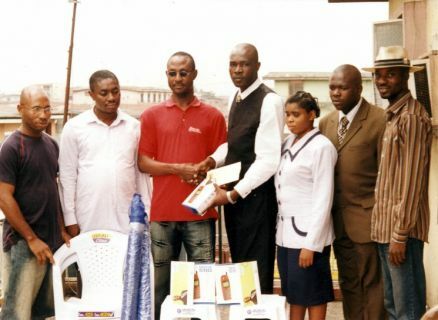 Chevron started giving scholarship to the students after the protest match..
Comrade Evah (middle) Mr. Sunday Idowu who presented a service Bus and accommodation Facilities to the Blind students and Miss Laurel Fotre at the exhibition. 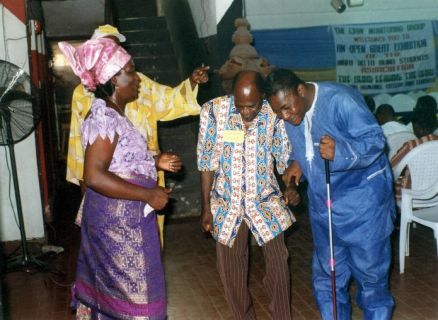 Comrade Evah, Grand patron Niger Delta Blind Student at the 2008 exhibition of the blind. 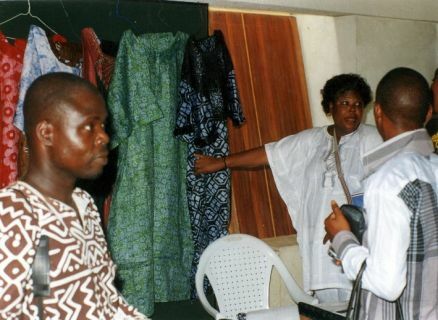 Cross section of Niger Delta Blind Students at the exhibition. 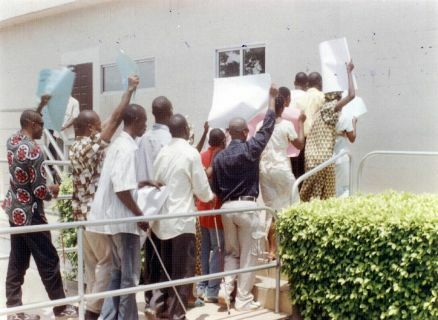 Cross section of Niger Delta Blind Students with placards. 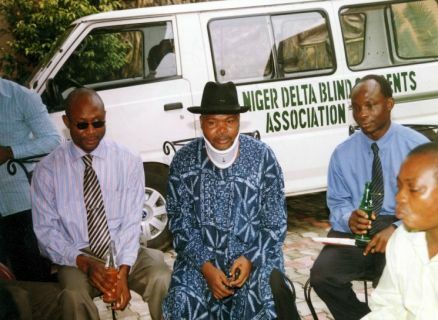 Exco members of Niger Delta Blind Students Celebrating with Comrade Evah after his discharge from the Hospital. 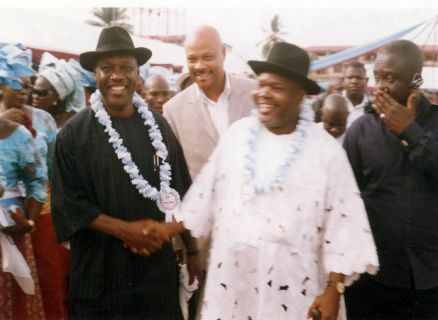 Minister for special duties Chief Goddy Orubebe representing the Vice President Goodluck congratulating Comrade Evah For mobilizing Ijaw nation to the promise land. Miss. Laurel Fotre addressing the press. 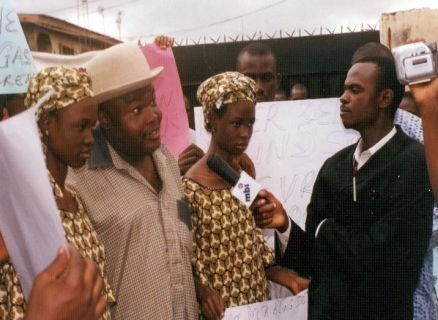 Niger Delta Blind Students addressing the press before storming Chevron. 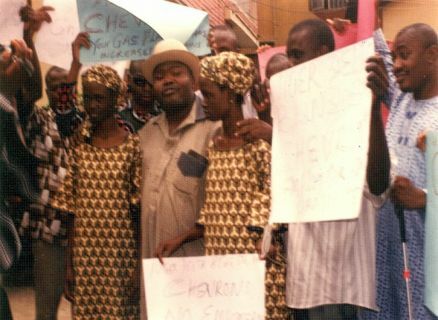 Niger delta blind Students demonstrating against Chevron. 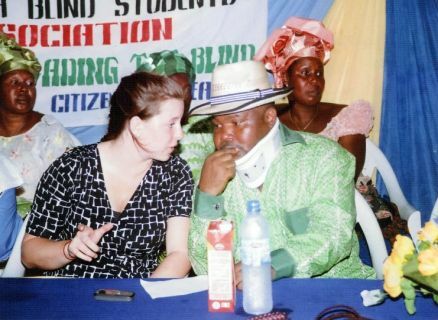 President Niger Delta Blind Student Mr. Oniesi Ben reading welcome address at the Exhibition. 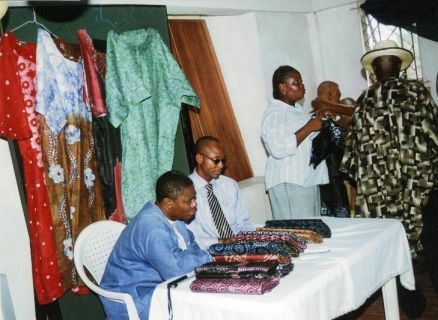 Some blind students displaying their skills in craft design out the venue of the exhibition. Some visitors admiring the works of the design. 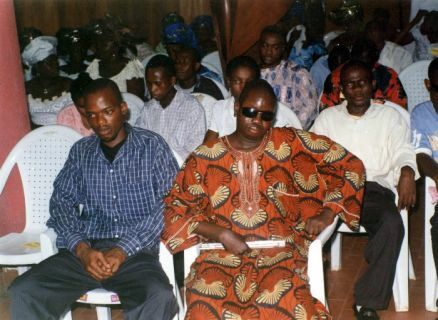 The presentation GSM Business Tools by IYDA to Niger Delta Blind Students.